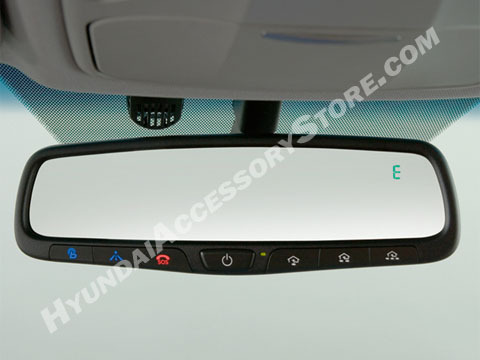 Auto-dimming mirror helps to reduce glare from bright headlights behind you. Includes a compass, BlueLink button, and three HomeLink buttons. Perfect replacement for the standard BlueLink mirror. Use of BlueLink features vehicle to be factory equipped with BlueLink. This will not add the service to vehicle without BlueLink.